The following art excerpts from the DVD that comes with Worship Musician! Presents The Language of Music by Tom Brooks. Check out more of his video lessons here. In The Language of Music, Tom Brooks demystifies and explains the basic building blocks of music in a simple, clear, straightforward way – essential knowledge that every worship musician needs to perfect his craft. The book offers a practical, real-world approach to all the fundamental concepts; music theory and harmony, chord construction, scales, key signatures, chord relationships, transposition, modulation, chart reading, and basic arranging, along with tips on how to practice more efficiently and rehearse more effectively, and much more. The focus is on contemporary praise and worship; music that is inspiring the church in the 21st century. The book comes with a DVD-ROM that features videos of the author guiding you step by step through each chapter of the book. Tim Carson is the author of The Worship Vocal Book. Below is an excerpt from his new book as provided for by Live 2 Play Worship. Please see their site for the entire excerpt. Vocal style is one of the most powerful tools we have to help us express our hearts through song. Style is the palette of colors that we use to express emotion. When style is used at its best, we capture the essence of a song, connect our hearts to what we are singing, and find a full spectrum of colors that will communicate to our congregations. Style not only allows others to hear the language of the heart, but invites them to engage their hearts in the same way. But style can alienate and distance our congregations as much as it can invite and engage them. The right song, the right message, and the wrong style can render all of our efforts in rehearsal and preparation (and even in vocal development) a profound waste of time. Our voice can sound amazing, and we can develop all of the range, dynamic control, and technical ability in the world, but if we do not have control over style, we may as well be a pastor at a church in Texas, preaching in Japanese. That pastor could have passion and skill, and the right heart and motivation, but people just aren’t going to get it. The inability to effectively use style can be just as much of a hindrance to our ministry in worship. For most singers I begin working with, style is an elusive aspect of singing that they feel they have very little control over. They would explain style as the unique quality that defines their voice. It’s what you hear when they sing—it’s their style. Other people on their worship team have their own style. Someone on their team sounds really good on a certain type of song because that is their style. Another person sounds best on another type of song because that is their style. But style isn’t something they feel they have any control over. Style is what defines them. But this is not the case for those vocal artists who see style as a tool bag of resources that help them communicate their hearts through their voices. Style serves vocal artists but does not define them. Style is the palette of colors that they get to use as they create a work of art, painting a picture and communicating a message through song. So how do we make that shift? How can we develop the ability to be served by style rather than defined by it? Can style be learned, or do you just do the best you can with what you’ve got? Keep reading this excerpt on Live 2 Play Worship! At a wide range of conferences and sessions, the principles presented in The Worship Vocal Book have proven to produce better singers, time and time again. The techniques in this book draw on four-hundred years of classical, foundational vocal instruction and yet they are fresh. Tim presents them in a way that is different from any other method available today, particularly as it pertains to the contemporary worship singer, leader, songwriter, or performer. The information is presented in a way that is easy to follow, and it works! Onstage and Backstage podcast from Hal Leonard is available on iTunes and Libsyn. Each episode authors and their guests have a chat about the topics of their books. Today, Sandy Hoffman, author of Worship Musician! 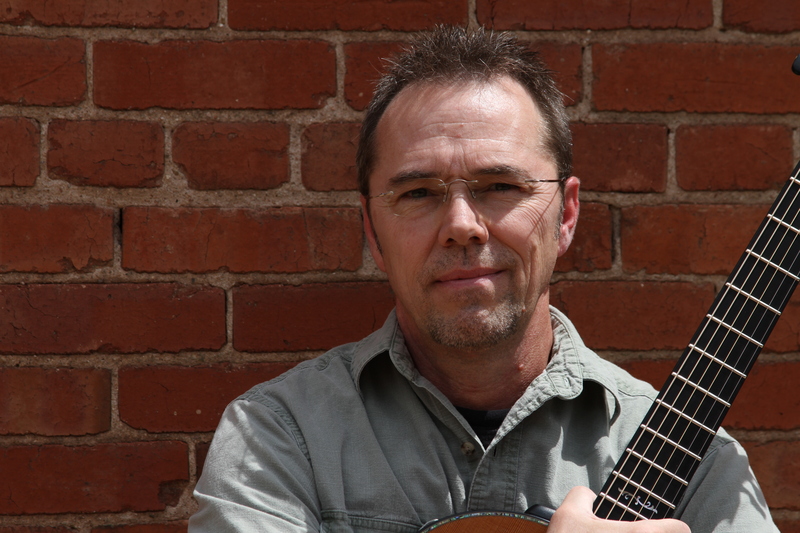 Presents Tips for Tight Teams, chats with Bruce Adolph, publisher of Worship Musician! magazine. Worship musicians, gather ’round. Join Sandy Hoffman, author of Worship Musician! Presents Tips for Tight Teams, as he discusses his inspiration (including the Beatles), gives solid advice to worship musicians on partnering with God in creativity, and makes up some new words along the way. He is joined here by Bruce Adolph, publisher of Worship Musician! magazine. Tips for Tight Teams instructs and equips today’s worship musician to function on the musical, relational, and technical levels expected of 21st-century worship team leaders and members. Rooted in Sandy Hoffman’s “Ten Top Tips for Tight Teams” curriculum, the book covers a myriad of timeless and relevant worship topics. The goal of Tips for Tight Teams is to elevate skill levels to the point where the worship team is no longer a distraction to the very people it endeavors to lead into worship. The following is an excerpt from Chapter 7 of Worship Musician! Presents: Tips For Tight Teams by Sandy Hoffman, which will be available this April from Hal Leonard Performing Arts Publishing Group. Pre-order now. Last night we rehearsed. One minute we were singing and shouting the contemporary “Rock of Ages” by Rita Baloche, the next, we’d morphed into our old familiar garage band persona, covering a Beatles tune of course: “Chains, my baby’s got me locked up in chains, and they ain’t the kind that you can see” (from the 1963 album Please Please Me). This happens often in our rehearsals, and for a very good reason: we’re gellin’! What may appear to the uninitiated as dabbling in the secular, or at best, time-wasting reminiscences, can actually become quite an effective exercise, greatly enhancing team cohesion and flow. Just imagine this: you’re walking down a long, gravel driveway, ending at an old, dilapidated, whitewashed garage. There’s a dirt floor. Music of a most extraordinary nature is emanating from every termite hole in the place. Enticed by the sound, you are compelled to investigate. The door swings open, and suddenly you’re face to face with a gnarly bunch of guys (it’s probably Saturday night). Each one has an instrument in hand, and every one of their facial expressions is different. Some are focused and serious, some are smiling, others offer warm greetings while still others completely ignore you. They’ve convened for a singular purpose: to jam. They are there to allow their musical imaginations to run wild, undistracted by charts or direction or spectators. They are truly a garage band! Webster’s calls jamming “an impromptu performance by a group of musicians that is characterized by improvisation.” In the worship vernacular, I like to think of it as improvisation by inspiration. No matter how we define it , one thing is certain: when our worship teams spend time jammin’ together, it really helps us gel. Jamming brings unity of sound, dynamic sensitivity, freedom from inhibition, interpersonal consideration, and often it stimulates some pretty amazing creativity. Coupled with inspiration from the Holy Spirit, we get to enjoy a win-win-win situation! Spiritually, relationally, and musically we are growing when we’re jammin’ to gel! Tips for Tight Teams instructs and equips today’s worship musician to function on the musical, relational, and technical levels expected of 21st-century worship team leaders and members. Rooted in Sandy Hoffman’s “Ten Top Tips for Tight Teams” curriculum, the goal of Tips for Tight Teams is to elevate skill levels to the point where the worship team is no longer a distraction to the people it endeavors to lead into worship. With over 40 Tips for Tight Teams articles to date, Sandy Hoffman is a regular columnist for Worship Musician Magazine. Connect with him on Facebook or visit his TipsForTightTeams.com website.